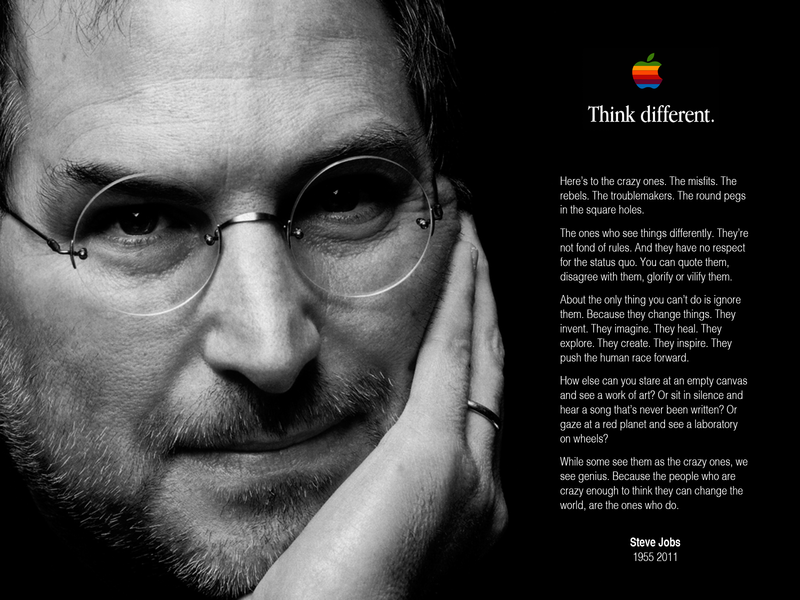 There was a great Apple advertisement called “Here’s to the Crazy Ones” as part of their Think Different campaign in 1998. Every leader should be inspired by watching this video. I couldn’t agree more. In business, perpetual optimism is what sets apart the good from the great. There is a ripple effect that a leader can have when they have passion and energy and it spreads throughout their whole team and organization. On the flip side, pessimism and negativity can have the same exact impact. This is the fine line between leadership and failure of leadership. As a leader in today’s business world, you need to have the inner drive that says “we can accomplish great things, we can be the best in our industry, and we can change the world.” That type of attitude is infectious. People want to be a part of something bigger, something that is important. They want to tell their friends, colleagues, and family about these accomplishments. The fact is, people want to be led. They want to go places where they didn’t think they could go, accomplish the impossible, and be the best at what they do. This is a basic human need, and they want a leader that can help them get there. I have a simple exercise that I have leaders perform. Pretend you are Steve Jobs and you just took over your department, business, or service. What do you think he would have done? Do you think he would just try and maintain status quo? Or would he have developed a completely different way of doing things? Everyone always understands what I mean by this because they know what Steve Jobs would have done – he was able to think differently. We don’t think of him as crazy, we consider him genius. But make no mistake, when he started Apple many thought he was crazy. Be creative. Be innovative. Think differently, and try things that seem “crazy.” Spare me the leader that comes in with “realistic” goals, and give me the unrealistic aspirations of the “crazy” ones any day. They are game-changers. And trust me – you want them on your team.